Customize your make up bag! So much fun and a great size for handbags. You can throw it in the wash too! Wouldn't you love to get this as a gift? 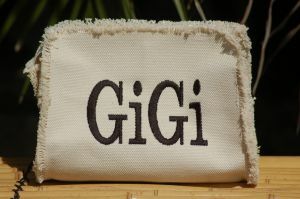 Please type your name or initials into the box as you want them to appear on your bag!